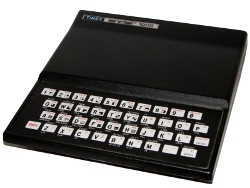 Okay, you may be wondering why there is a picture of an Apple II on a ZX81 site? Ill start by saying that its been a pretty busy May with lots of travel for both business and vacation. The picture is from the Smithsonian and it actually does relate to Mays program of the month, Wizerdry. Yep, I spelled that wrong. I'll chalk it up to being young. Can you guess the tie yet? 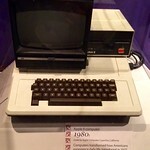 You see, one day I made it to a friend's house and he just happened to own an Apple II. New to me, he loaded up a game of his called Wizardry. 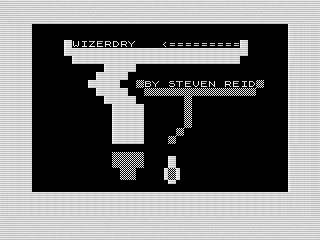 For those of you born after the early eighties, Wizardry is a fantasy game with monsters and heroes. It was a pretty short introduction, but I thought it cool. Elements of the game became part of many ideas that I designed. Some I got around to programming, like this one. Some of those ideas I didn't get to live only on paper. My Wizerdry is not a game. Instead, I created a little graphic demo program. It was one of the few programs I actually showed off to my friends. It is mostly a title graphic with some interesting smoke effects. A simple series of loops and print statements that ends up not looking half bad. In fact, it is one of my favorite that I still look back fondly on, even it isnt all that exciting by todays standards. I hope you enjoy Mays little animated graphics. Hopefully Ill find something a bit more exciting for June.